DEPARTED THE SHOW FEELING: I want what he is having. The show started out with gorgeous, glittery boys and ferociously exotic-looking women. Yes, I was finally at the Echo to see Trust. The mood was biting with anticipation for the Toronto-based electro twosome to grab the stage for their sold-out headline performance. As Robert Alfons came from behind the shadows, squeals descended from all directions- make no mistake, this was from the girls and the boys. Robert Alfons has a larger than life enigmatic quality, and as the viewer, you are immediately and helplessly sucked in. There is no escaping from his character on stage. As Alfons’ body goes limp (and my pulse races), he swings endlessly from side to side in what can only be described as watching someone being possessed and taken to another realm by their own eccentric creativity. When the band performed “Candy Walls”, “Dressed For Space”, and the beloved “Sulk”, the audience was much more polite than I would have thought. I came to this show with the intention of getting other people’s sweat all over me. In a strictly safe, non-sexual sort of way. (That makes sense, right?) Instead, I merely swayed side to side with my other comrades. Perhaps we were all transfixed by the incredible performance unraveling before us? I was left wanting more. Much, much, more of Trust. The album TRST released via Arts & Crafts is a dark, delicious gem to behold. 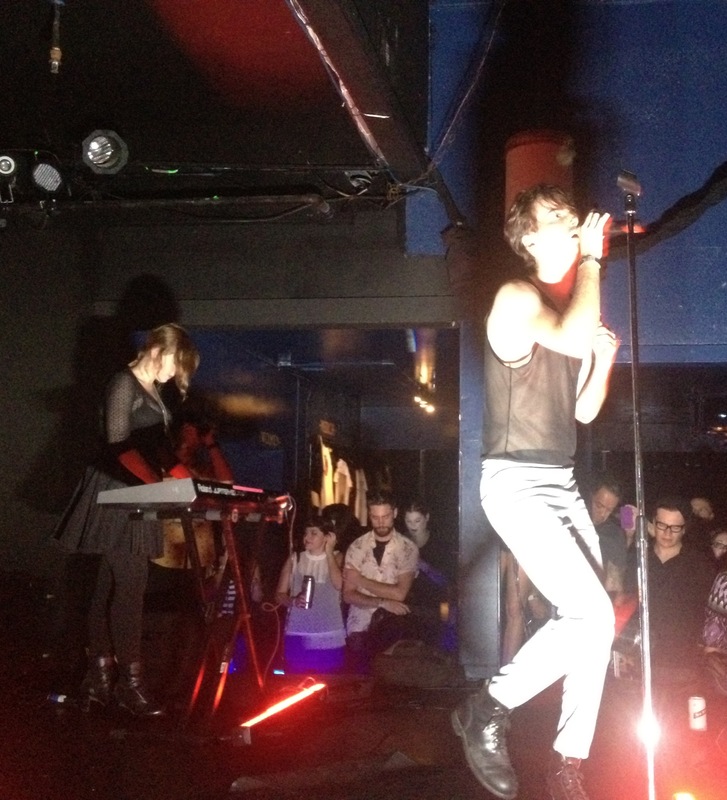 Trust will continue on their journey this fall, opening for dance-punk demi-gods The Faint. I’m definitely expecting a whole lot of delicious sweat from those shows. Bring your raincoats! Not familiar with Trust? Enjoy their video for “Sulk”. Dance party! Tashaki Miyaki – The Cults who?